Our first mission was designed to bring our street-level runners together and throw them into an exciting plot involving gang warfare. 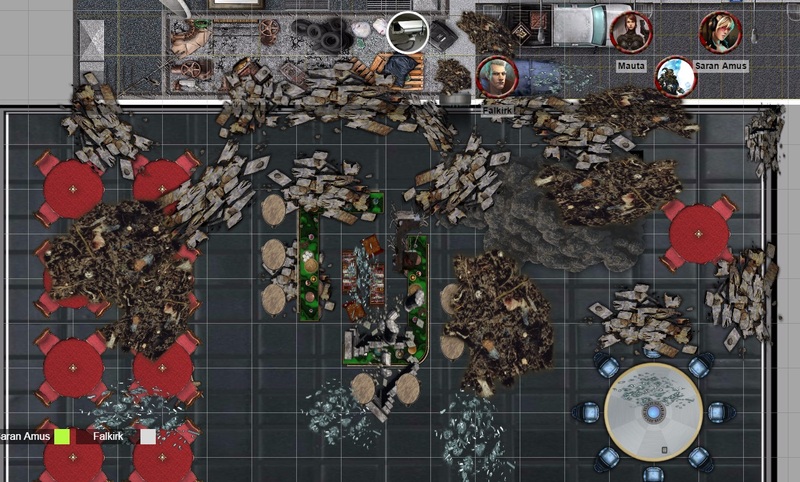 Since Shadowrun is composed of smaller individual runs or missions than your typical Dungeons & Dragons adventure or dungeon crawl, I’ve opted to include a recap session at the end of each mission. This session will serve three purposes: 1) Recap the entire mission, going over how the runners handled the situations and the paths and choices they made, 2) Allow for feedback from my players to better improve my GMing and mission-building skills, and have an official forum for out of character discussion of mechanics, character advancement, buying/selling loot, etc, and 3) Give me another week to write the next adventure! “Not With a Whimper” was our very first full length Shadowrun adventure, and one that I wrote myself from scratch. It was designed to bring our street-level runners together, embroil them in an exciting plot involving gang warfare, and give them an important NPC ally that can act as a Fixer for future jobs. It was composed of five scenes: Redd’s Bar, Redd’s Bar after the bomb, the inside of a DocWagon vehicle, return to Redd’s now-destroyed bar, and Jay-T’s Automotive. My players all created their characters separately, mostly unaware of whom each other were playing. They were all in the bar coincidentally looking for work when a bomb went off, destroying half the bar and spurring them into heroic actions of trying to save the people inside. Before they could even interrogate the one foe they’d left alive, I’d set up a random encounter with some Halloweeners in the bad neighborhood they happened to stop in. 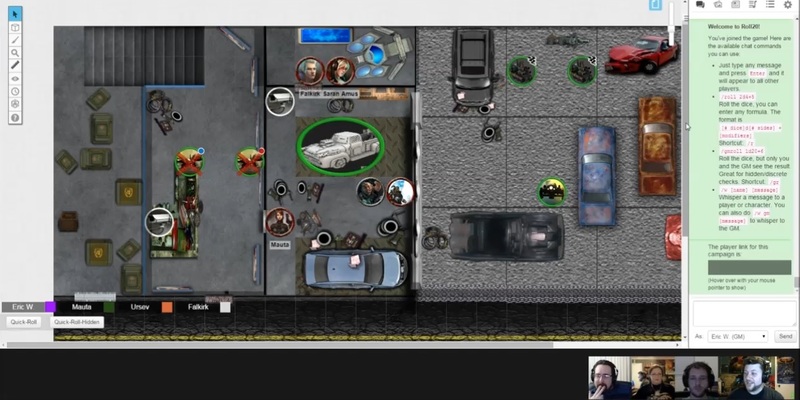 The players managed to negotiate their way out of a fight, trading the vehicle for their lives. Redd then finally offered them the official job of tracking down the culprit to the bombing. Memorably the players decided to go through the front door, disabling the keypad and alarm only to be spotted by the video camera just inside. The roto-drones activated and I was on fire with the dice, resulting in a tense but brief combat encounter as the players took some pretty big hits. The drones went down but dwarf rigger Jay-T was alerted to their presence and tried to make a run for it, leading to an interesting set up for my boss battle of the adventure. Jay-T made it to his truck only to spectacularly critical glitch on his mounted grenade launcher, resulting in its complete destruction. Before he could even leave the garage the elf adept busted the passenger side window, and the street sam followed up with a deadly OHKO with her hunting rifle. The players wisely used healing and first aid to stabilize him, but he remained unconscious and thus unable to be interrogated. At the end of the adventure our new runners had earned the gratitude and respect of Jeremiah Redd as well as some Karma, Nuyen, and Jay-T’s truck. No doubt Redd will have some future work for the runners as they try to unravel this plot. We had a lot of fun with it and all the feedback was incredibly positive. Looking forward to unveiling their new mission next week!